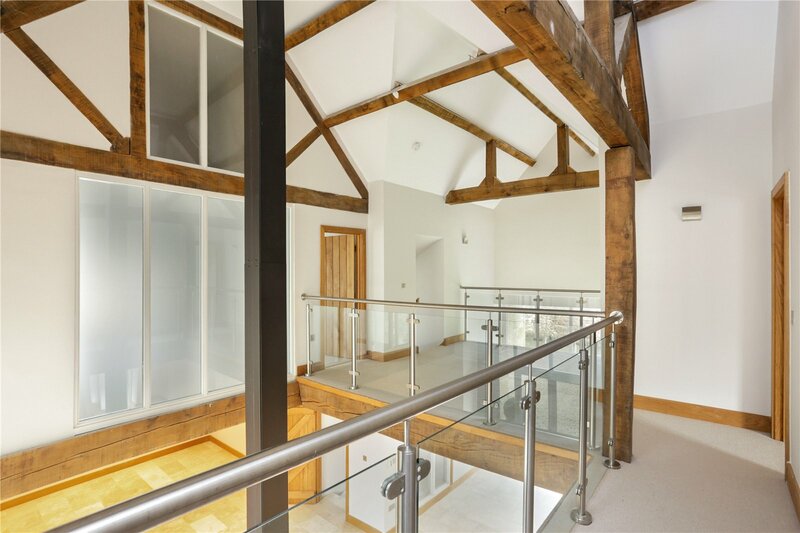 The most beautifully renovated detached Cotswold stone barn in the heart of the picturesque village of Hazleton. Dovecote House is an impressive, traditional Cotswold stone barn conversion with paddock and stabling. 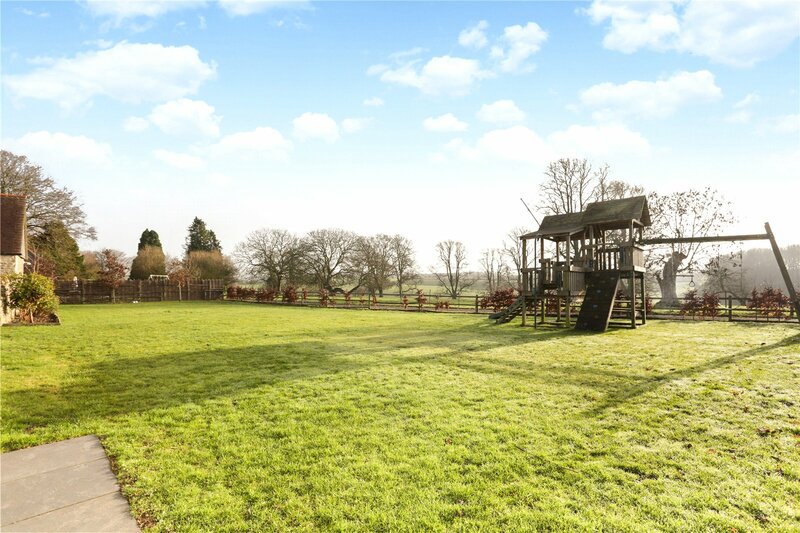 Situated on the edge of an un-spoilt village with glorious gardens and fabulous views over parkland. 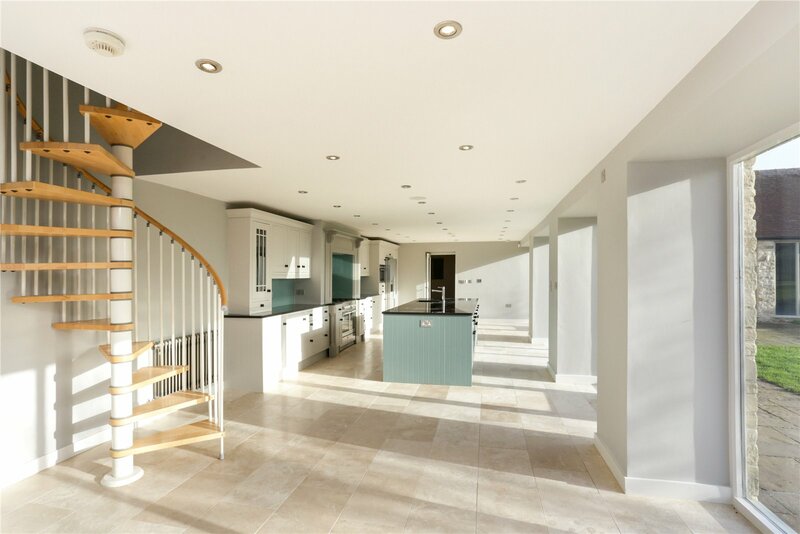 This substantial family home has been creatively and architecturally designed from a range of former farm buildings, preserving much of the original character and ambience. Forming part of an exclusive development of just six residential properties. 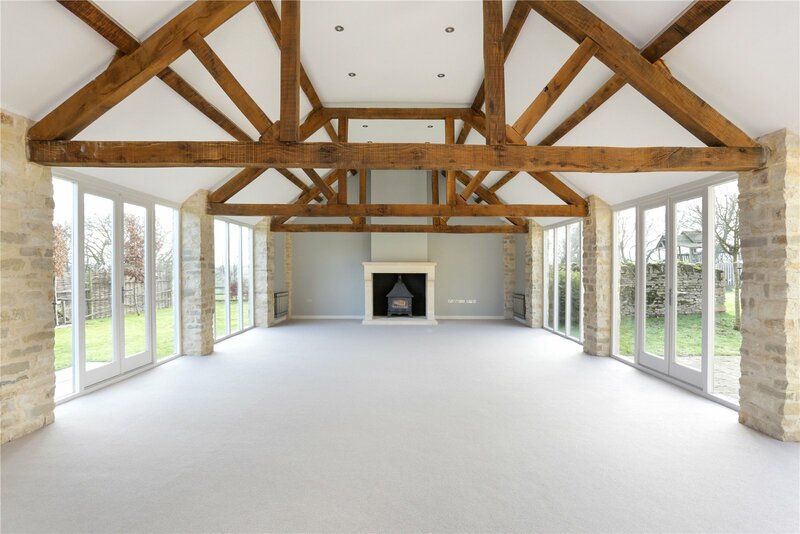 Entrance is via a stunning dining hall/living room which extends to over 50 ft in length, with a ceiling which, rises in part, up to a galleried first floor landing to the full roof height, exposing the substantial beams and roof trusses. 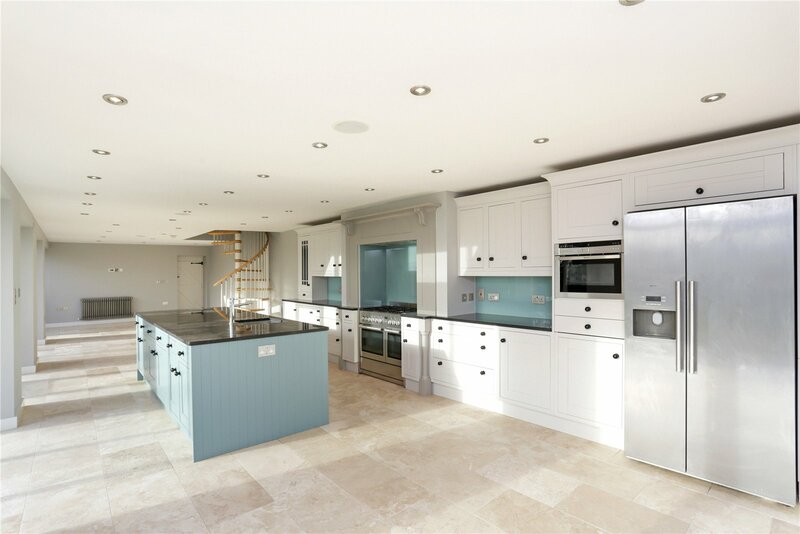 The superb kitchen/breakfast room also extends to almost 50 ft in length and has a comprehensive range of hand painted units with some integrated appliances. This room forms the hub of the house with a series of full height windows and doors creating a wonderful light space. The doors open into an attractive walled courtyard and the garden beyond providing the views over parkland. The drawing room has a double aspect vista with floor to ceiling windows and doors to both sides. 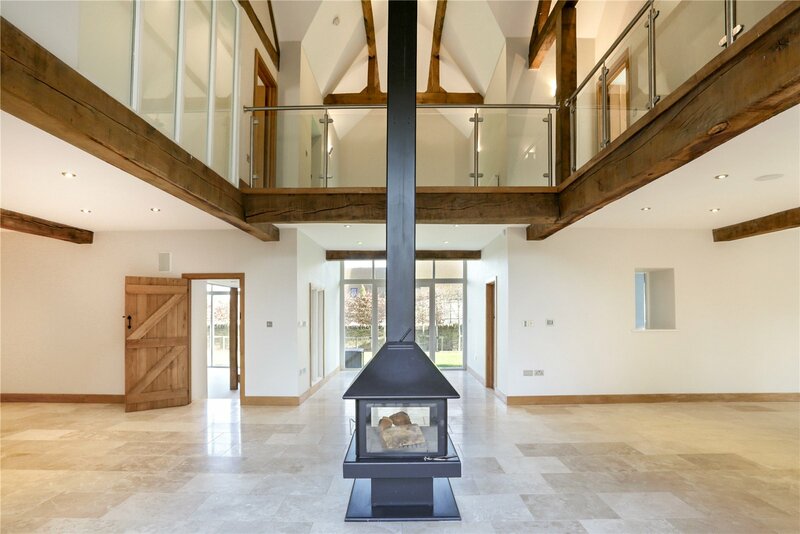 There is a stunning vaulted beamed ceiling and a substantial Farmington stone fireplace with log burner inset. Currently, there is a wing that provides a gym, utility room and shower room. This arm of the house has its private access which could create ancillary secondary accommodation for a dependent relative, au pair of for those seeking more separate guest accommodation. On the first floor both the master bedroom and guest bedroom have staircases that lead up to en-suite shower and dressing rooms. There are three further bedrooms, a Jack and Jill style shower room serves bedrooms four and five. Bedroom three has the benefit of a private en-suite bathroom. Of worthy note, bedrooms three and five can be accessed from a spiral staircase in the kitchen/breakfast room. Much of the charm of this beautiful home is due to its tranquil setting. Approached by via electric gates on a quiet country lane opening into a large graveled courtyard which provides the setting for the gardens and house. 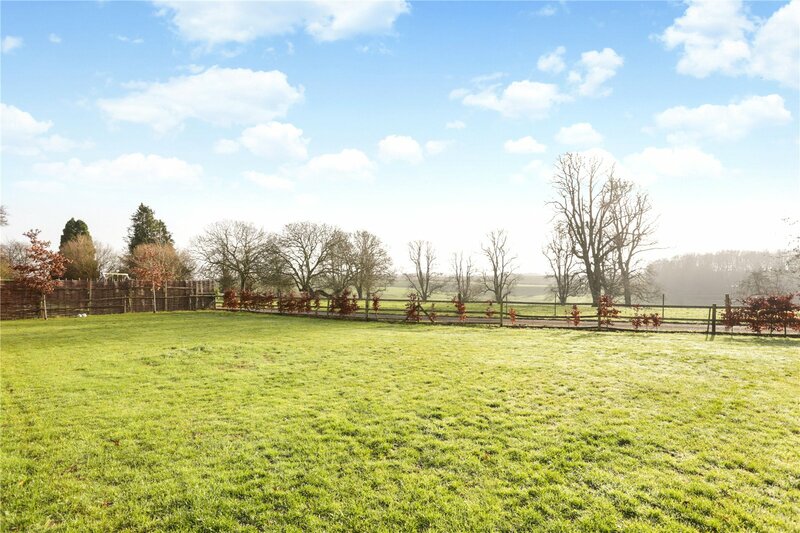 Dovecote House sits centrally within the formal gardens with a fenced paddock adjacent, totaling 1.45 acres. The gardens are an excellent expanse of lawn, which can be accessed from the principal reception rooms. 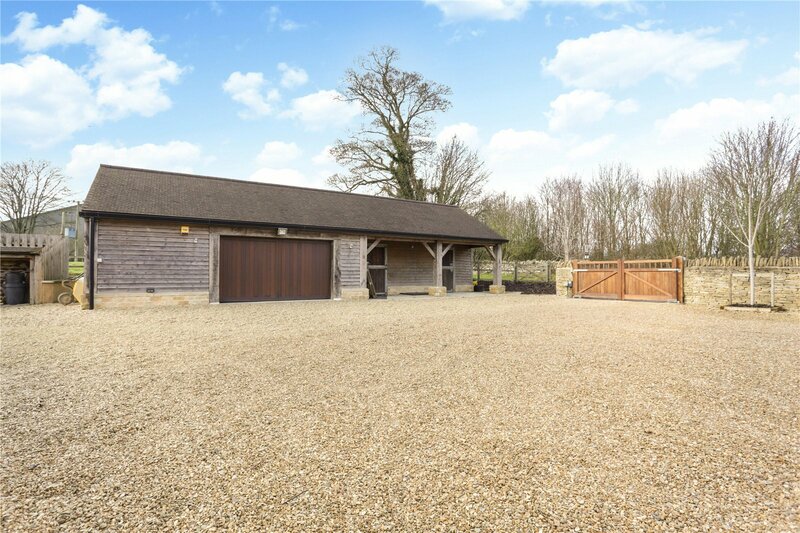 Within the courtyard is a double garage and a further, newly constructed double garage and stable block. 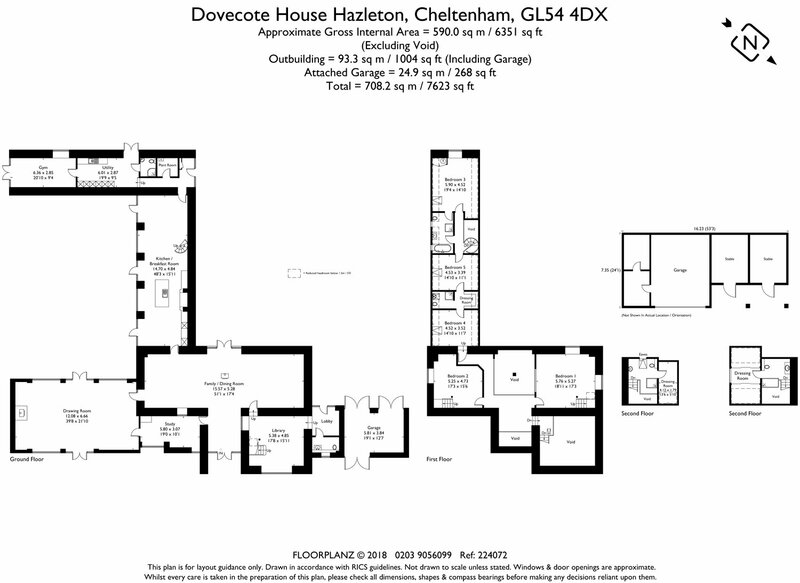 Dovecote House is situated in the charming and sought-after North Cotswold village of Hazleton, which lies in an Area of Outstanding Natural Beauty. Much of the charm of this unspoilt village is the ease of access to both Cirencester and Cheltenham. 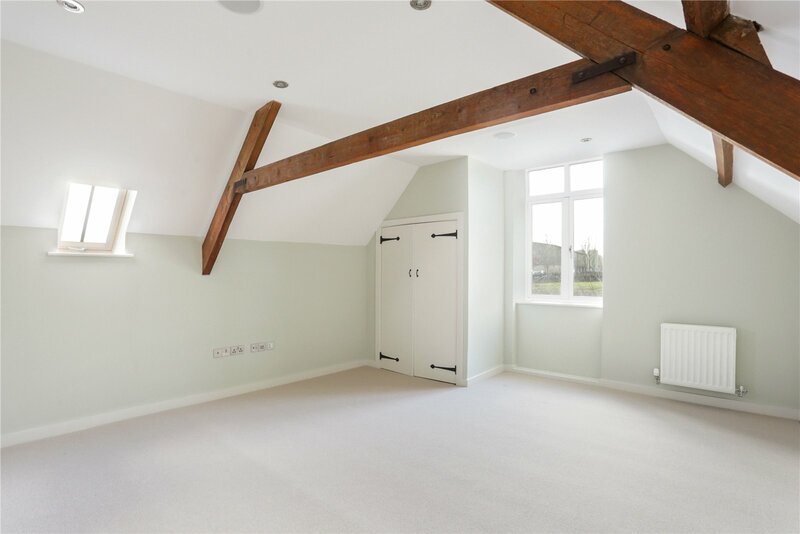 The nearby market town of Northleach offers an excellent range of day to day amenities including a well stocked shop, bank, surgery, local primary school in addition to an award winning pubic house, The Wheatsheaf. Cheltenham is the main regional centre and is within an short commute of Hazleton, providing recreational facilities, extensive shopping and cultural opportunities including the hosting of several highly acclaimed festivals including; Literary, Food and Jazz. Cheltenham is particularly well regarded for its exceptional schools including; The Cheltenham Ladies' College, Cheltenham College and Dean Close with Rendcombe College and St Edwards both in easy reach of the village. Despite its quiet location there are easy links to the A40 / M40 to the east and the M4 to the south, giving fast access to Oxford, London and the South East. There are fast direct trains which run from Kemble Station to London Paddington (about 75 minutes) Kingham Station and Cheltenham Spa. Mains water and electricity are connected. Private Drainage. LPG gas fired central heating.